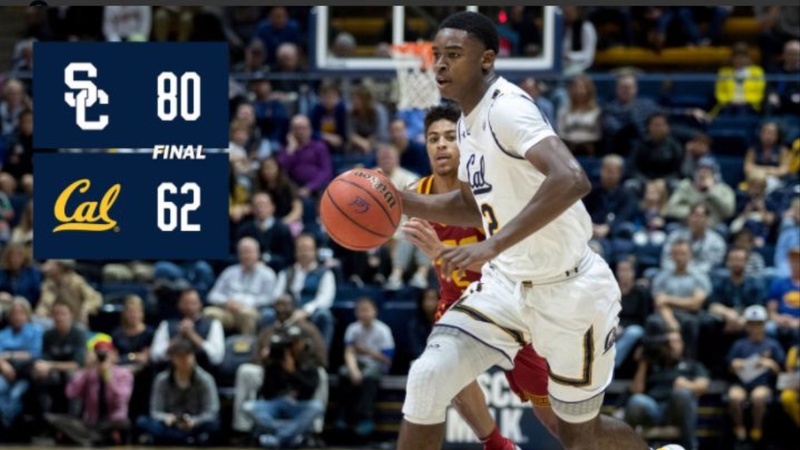 All the optimism and good vibes Cal was feeling after last week's comeback win at Stanford were wiped away Thursday night, buried by an avalanche of turnovers, missed shots and defensive giveaways in a truly dispiriting 80-62 loss to USC at Haas Pavilion. The Bears (8-7, 1-1 Pac-12) were never in this one, another slow start that has become a depressing trademark, doomed them. The Trojans (11-5, 2-1) took their first lead before the game was four minutes old and never looked back, going on a 28-4 run early in the opening period.